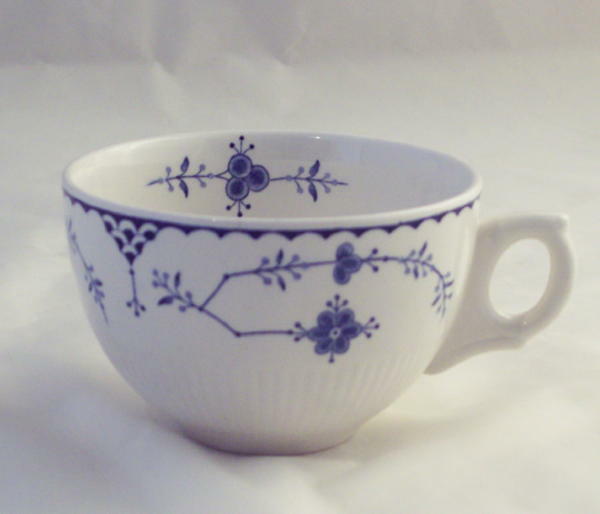 Very attractive larger tea cups in the Furnivals Blue Denmark pattern. These cups have a diameter across the top of just under four inches and they stand approximately two and a half inches tall. These Blue Denmark items are in excellent condition. Furnivals produced the Denmark pattern in both blue and in pink. Both colour ranges have now become very difficult to obtain and we are pleased to be able to offer a small selection of such items to our clients, in excellent condition.